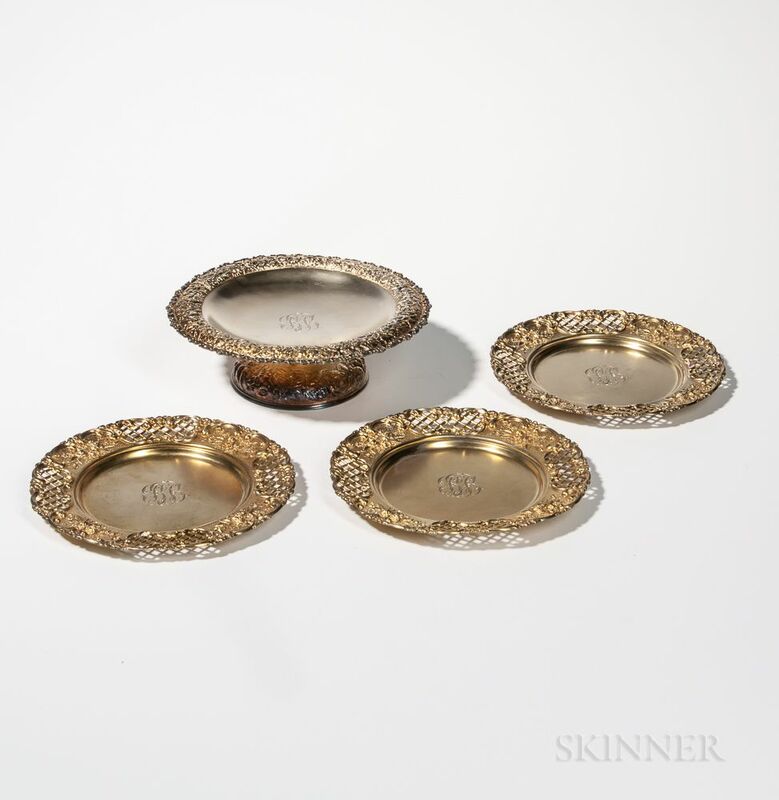 Four Pieces of Tiffany & Co. Silver-plated Tableware, New York, early 20th century, monogrammed, each gold-washed, three dishes with reticulated rims, dia. 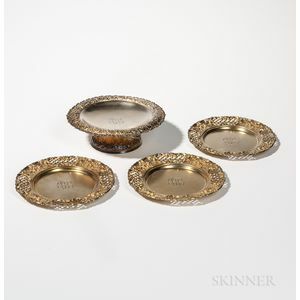 8, and a tazza, dia. 8 3/4 in.